Whether you’re hosting or asked to bring a dish as a guest, odds are high that you’re going to a barbecue at some point this summer. Everyone’s been looking forward to this time of year when we can finally fire up the grill and dive into some of our favorite comfort foods. Since there’s been so much anticipation building throughout the year, you might as well prepare yourself as best you can to make the dinner time day dreams of your guests come true. We’ve listed some of the most popular summertime barbecue dishes and outlined tips and tricks so you can make them better than they’ve ever been before. Use a dry seasoning on the meat before you cook it. No matter what kind of seasoning you use, stick to the rule of 1 tablespoon per pound of meat. A good pre-cooked patty width is generally 1.5 inches. Oil the grill with standard vegetable oil before grilling. The oil helps the patty cook evenly. 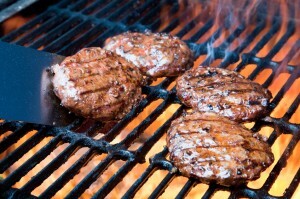 When grilling, flip the patty only once. This helps keep the natural flavor of the beef inside the burger. Three minutes on each side on high heat should be just fine. A blackened hot dog does not equal a cooked hot dog. 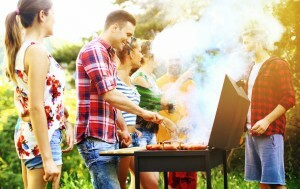 If your hot dog starts to blacken within 1 minute, it means your grilling heat is too high. All you are doing is burning the skin and actually cooking the whole hot dog. Medium heat is ideal for cooking hot dogs, usually around 350 degrees. 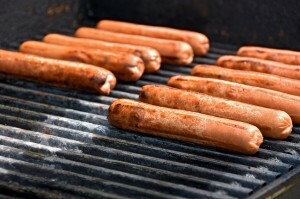 Rotate your hot dogs consistently on the grill so they cook evenly. Grill marks around the entire hot dog are a good indicator that the hot dog is cooking evenly. The marinade time is key. You can find a wide variety of marinades out there to use and each one of them come with their own special set of instructions. If your instructions says to allow for 8 hours of marinate time, don’t assume 4 hours will be good enough. Respect the process and it will respect you back. If you want your chicken to really soak up the flavor of your marinade, flatten the individual pieces with a meat mallet. Not only does it make the chicken thinner and more manageable, but it tenderizes it and makes it easier to absorb the marinade. Just like you would with a burger, flip the chicken pieces only once when grilling. 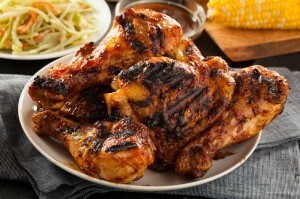 Why spend all that effort marinating your chicken just to have all the flavor burn up on the grill? Have a knife on hand to make sure the chicken cooks all the way through. Cook until there is no pink. The last thing you want is to give your guests is salmonella poisoning from under cooked chicken breasts. When boiling the potatoes, boil them in salted water. The salt water helps to enhance the natural flavor of the potato and helps keep them from sticking together. Ad just a little dash of pepper to your mayonnaise and mustard mixture. It adds to the sharpness of the mustard and provides a pleasant contrast to the saltiness of the potatoes. A good rule to follow when determining how many potatoes you should cook is one-half pound of potatoes per person. Soak the corn in cold water with the husks still on for 10-15 minutes before grilling. This adds more moisture to the corn. Peel back the husk but don’t remove it. Add butter and seasoning to the cob with a brush and then replace the husk. 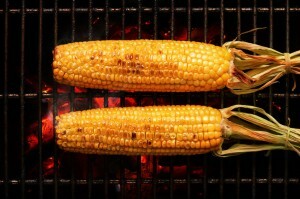 Grill the corn with the husk on to help the corn absorb the flavor of your butter and seasoning. Cook the corn until the husk starts to blacken, rotating regularly. 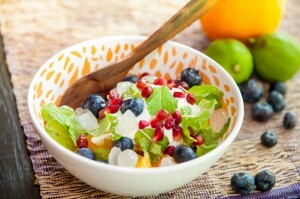 Vanilla pudding can be a great and delicious tool to keep all of the elements of your fruit salad together. 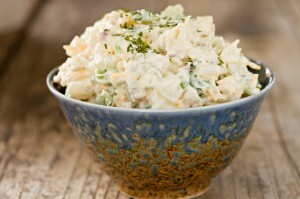 Just add one mixture packet to your salad and stir it until it dissolves. If you’re looking to have a truly unique fruit salad experience, try adding a packet of pina colada mix. You won’t regret it. When it comes to deciding on which fruits to use, let your taste buds be your guide. However, six is usually the magic number when it comes to variety. Any more than six and your palate might get overwhelmed. Now it’s time to bring it home with a nice, refreshing dessert. What better kind of dessert could there be for your guests during the hot summer months besides popsicles? We’re not talking about orange juice toothpick popsicles though. These are raspberry-buttermilk ice pops that will make your mouth water and serve as the grand finale to the perfect barbecue. In a large bowl, smash raspberries with the back of a fork. Add remaining ingredients, and stir to combine. Pour mixture into ice-pop molds and freeze for 30 minutes. Insert a wooden stick into each pop; then freeze for at least 2 more hours.